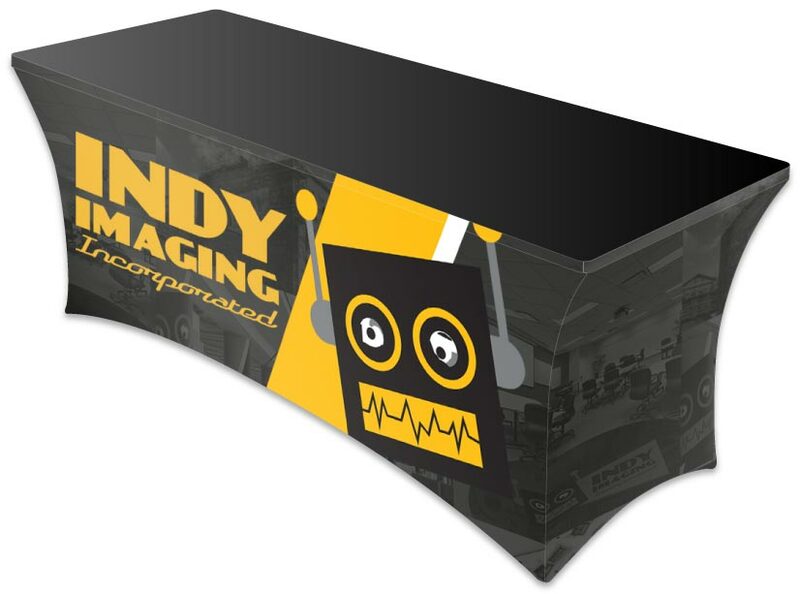 Stretch Table Skirts – Indy Imaging Inc. Stretch Table Skirts are a nice option to display and market your product. We produce these to fit a standard 6 foot & 8 foot table. Design your customized graphics using the templates provided. Stretch Table Skirts are ideal for any trade show or mobile marketing business. What to consider when ordering Stretch Table Skirts. . .
How will the Stretch Table Skirts be used? What size are the table(s) being used? See templates below for the most common sizes.